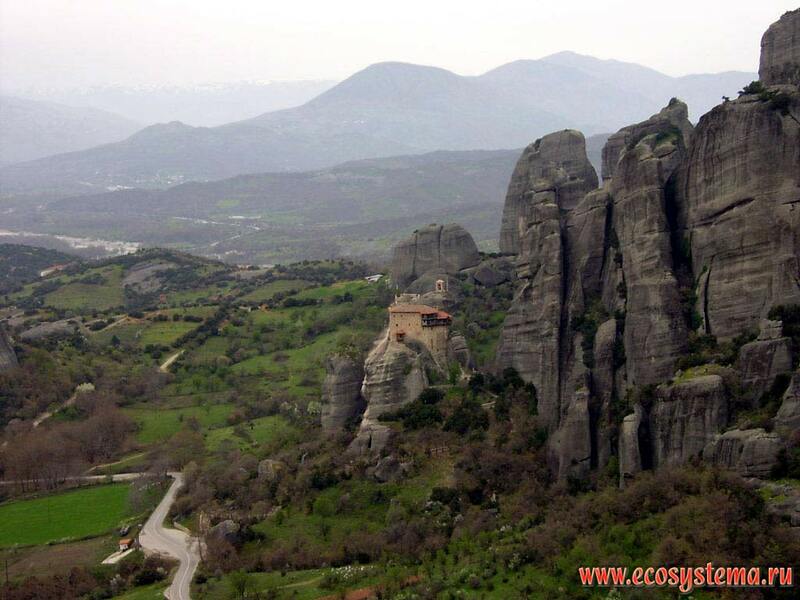 Pind mountains (Northern Greece). Meteori village. Basalt rests.